Lanarkshire community groups and trade unionists joined Labour representatives for a demonstration at the Scottish Parliament in the wake of its latest budget. They were there to highlight their concerns over cuts to local authorities having implications for vulnerable groups in the area. 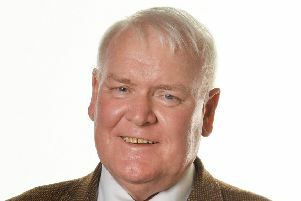 Council leader Jim Logue says that the council’s services will see cuts of £34.5 million. David Stocks, leader of the SNP group on North Lanarkshire Council, said his party’s budget would actually provide a significant boost in funding for local services, with NLC getting a large share of social deprivation funding designed to close the attainment gap in schools, as well as money for council-employed care workers.